Welcome to the Brass department at the Royal Conservatoire of Scotland, where we hope you can find out all you need to know about our BMus Brass programme. The department is led by Head of Brass, John Logan. After a long playing career with many of the UK’s symphony orchestras, including a five-year tenure with Sir Simon Rattle at the CBSO, and a seventeen-year tenure as Associate Principal Horn with the RSNO, John works closely with students, sharing his extensive performance experience. John is still active in the professional performing world as a conductor and arranger especially in the area where Scottish folk music collaborates alongside the symphony orchestra. The Brass programme has a long tradition of excellence and a worldwide reputation for training leading musicians. Our team of dedicated staff includes many of Britain’s finest brass players, with international reputations as soloists, orchestral, and chamber musicians. Students receive an unparalleled two hours individual tuition a week, divided between principal study (trumpet, trombone, horn, tuba, euphonium, or cornet), and either a second study or related study such as handhorn or piccolo trumpet. It is also possible to receive lesson time from our jazz department. We have regular visiting artists from all brass disciplines including Visiting Professor, Ian Bousfield. On this programme you’ll get a real sense of the demands of the professional world, with weekly classes in orchestral repertoire and the opportunity to set up your own ensembles and perform in our lunchtime concert series. We also enjoy professional collaborations with Scotland’s major orchestras and operate mentoring schemes with the RSNO, BBC SSO and the Orchestra of Scottish Opera. Through these connections it is possible, through competitions and auditions, to be assessed by performing a concerto alongside these top professional players. In comparison to other conservatoires we run a smaller department, large enough to tackle challenging repertoire, but small enough to ensure widespread performance opportunities for every student. Our students take part in Symphony, Wind, Opera, and Chamber Orchestras, and a diverse range of ensembles including Big Band and Royal Conservatoire Brass. Our ensembles give concerts regularly at home and abroad; recent overseas performance opportunities have included China, Malta, Germany and Brazil. Glasgow has so many great orchestras that there are a number of excellent brass players in the city who are connected to RCS. Frequently you’ll see tutors performing in professional situations and you’ll build up professional connections during your studies. Detailed below you will find what is expected year by year in the BMus programme. Common to all years are your principal study lessons, performance classes and creative and contextual studies. 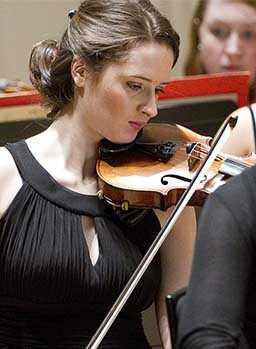 Throughout the programme you will be given formative feedback grades in supporting studies that will include performance classes, ensembles including chamber, orchestra, repertoire classes and tutor reports.with the opportunity to undertake a second or related study and take part in masterclasses and concerts. As the programme progresses you are given more credits of your own choice. These may be taken as added academic modules, cross-school modules or by being involved in more performance based activities. You will benefit from 90 minutes individual one-to-one tuition each week from our experienced staff and have the opportunity to undertake a second or related study, and also classes in Creative and Contextual Studies. Our teaching staff includes principal and co-principal players of the BBC Scottish Symphony Orchestra, the Scottish Chamber Orchestra, the Royal Scottish National Orchestra and the Orchestra of Scottish Opera. Recent visiting professionals who have delivered seminars and Masterclasses include Valentin Garvie, Ewen Easton, Graham Sibley, Keith McNichol, Kristian Steenstrup, Ian Bousfield and Boston Brass. Video conference one-to-one lessons and brass clinics can now be booked by arrangement. The Brass department has access to the many facilities and resources RCS has to offer. As well as a fabulous library and several computer suites, our Brass students have access not only to a purpose-built recording studio but the use of an expert recording producer. Recordings can be made for course assessments and also at any time for personal use. Our large venues are used regularly by brass playing in symphony orchestra, wind orchestra, opera, ballet, musical theatre and chamber-sized ensembles. Externally you may play in the Glasgow City Hall, the Glasgow Royal Concert Hall and the soon to be new home of the RSNO. Rachel Boddice-Brown Senior Aircraft Woman, RAF Cranwell, posted to RAF College. A strong indication of potential is sought at the entrance audition for this programme. Successful applicants will normally be of a standard at least equivalent to Grade 8 with Distinction of the Associated Board of the Royal School of Music in their Principal Study. You can apply and audition without having obtained Grade 8 with distinction, however as an indication only, applicants are normally expected to have reached this standard in their performance. Head of Brass, John Logan, explains more about the audition process in the video below to give you an insight on what to expect on the day. Performance applicants will be required to demonstrate their ability in their Principal Study. It is important to choose music that will demonstrate present level of achievement and musical potential. The Audition Panel reserves the right to halt a performance when it has heard enough to form a judgment. Applicants will have 10 minutes (or more, dependent on their Principal Study) to warm up before the audition. RCS is not able to offer additional practice facilities before the allocated warmup time. In addition to the performance, applicants may, at the discretion of the Audition Panel, be given a short sight-reading test. The audition will conclude with a short interview with the Audition Panel which will explore the applicant’s understanding of the demands of the programme, knowledge of repertoire, aspects of performance practice, performance experience and attitudes, and professional aspirations. Instrumentalists and vocalists will be automatically allocated an official RCS accompanist to play for them at their audition (unless RCS is notified that the applicant intends to use his/ her own). Applicants will be given time with the accompanist prior to their audition in order to run through their programme. Performance of one piece selected from the following list, and one piece of the applicant’s own choice. Scales, arpeggios and sight-reading may be given at the discretion of the panel. Hummel – Trumpet Concerto, 1st and 2nd movements or 2nd and 3rd movements (Bb or Eb trumpet, any edition). C, A or Eb. Performance of one piece selected from the following list, and one piece of the applicant’s own choice. Scales, arpeggios and sightreading may be given at the discretion of the panel. If you are auditioning via video recording, please read the following information before sending us your material. The Joint Principal Study pathway is intended to cater for the needs of individuals who are equally accomplished in two Principal Study disciplines (e.g. Flute and Composition, or Trumpet and Conducting, etc.) and who wish to maintain this intense level of dedication in their musical studies. Please note that Conducting is only available as a Joint Principal Study and Jazz Performance is only available in conjunction with Conducting or Composition. 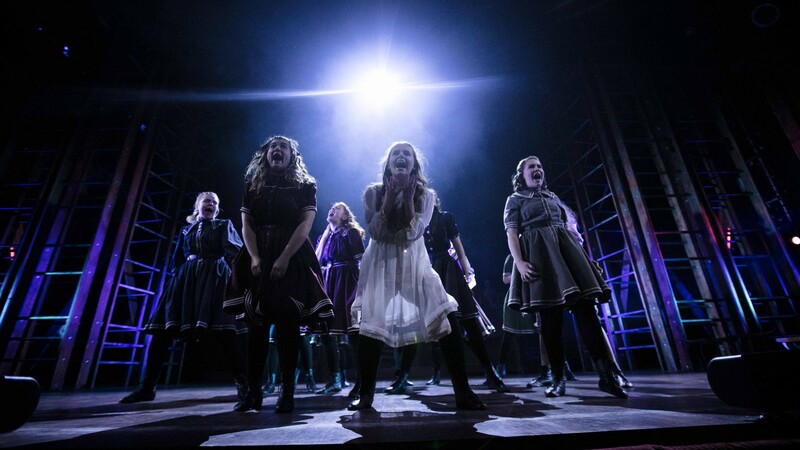 The selection process for applicants applying for Joint Principal Study is the same as that for other applicants; auditions on both Principal Studies will normally take place on the same day. Applicants to the Joint Principal Study pathway who are successful in only one of their Principal Studies may be offered a place on the relevant ‘single-study’ pathway (i.e. Performance, Composition or Jazz). Performance of one piece selected from the following list, and one piece of the applicant’s own choice. • Hummel – Trumpet Concerto, 1st and 2nd movements or 2nd and 3rd movements (Bb or Eb trumpet, any edition). C, A or Eb. Performance applicants will be required to demonstrate their ability in their Principal Study. It is important to choose music that will demonstrate present level of achievement and musical potential. The Audition Panel reserves the right to halt a performance when it has heard enough to form a judgment. Applicants will have 10 minutes (or more, dependent on their Principal Study) to warm up before the audition. RCS is not able to offer additional practice facilities before the allocated warm up time.